Back when I was a student, a long long time ago, "back to school" was end of September or even beginning of October. But summer school vacations here in Lebanon seem to be following the same pattern as the US recently: they're getting shorter and thus school is starting sooner. I'm not sure why you'd celebrate "back to school" with game discounts though — isn't that counter-productive? Or maybe kids are going to be so taken by their studies that it'd be nice to give them a break on the cheap, especially when playing in the sun becomes less feasible as fall hits. 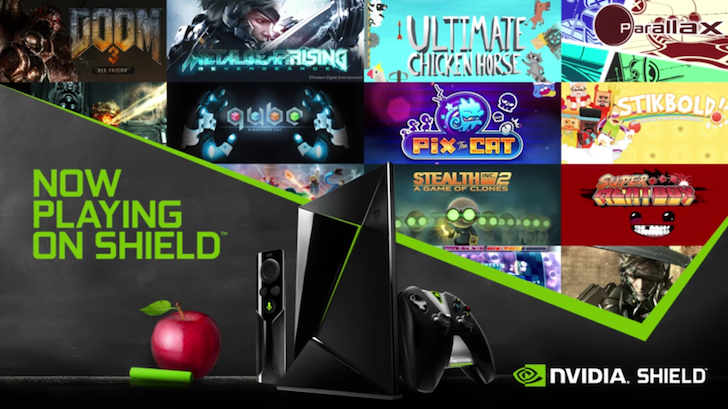 So NVIDIA is discounting a bunch of its SHIELD exclusive games. Most are seeing their price drop by half, but Metal Gear Rising: Revengeance is getting the better end of it with 66% off. Here is a list of all the discounted games with their original price. Note that while the super new Q*Bert Rebooted isn't officially part of the back to school sale, it's also seeing its $5.99 launch price slashed in half to $2.99. The sale lasts from August 23 until August 29 (though Q*Bert's price drop might not hold that long) and keep in mind that you'll need some NVIDIA hardware to play these games. They won't be compatible with other Android devices.